(LUZ) (Lisbon) 2005 - 2011. Photos. Framable Color Prints and Posters. Digital Sharp Images. Aviation Gifts. Slide Shows. 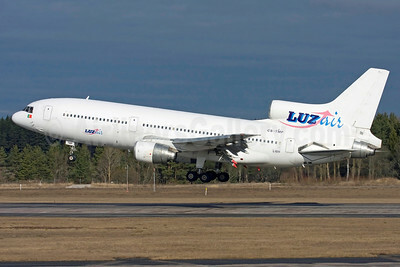 LuzAir Transportes Aereos Lockheed L-1011-385-3 TriStar 500 CS-TMP (msn 1248) ARN (Stefan Sjogren). Image: 900665. 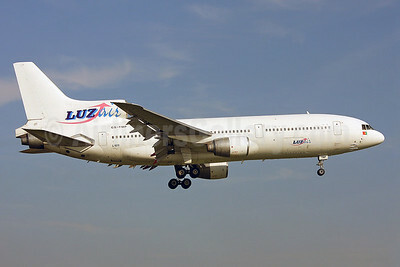 LuzAir Transportes Aereos Lockheed L-1011-385-3 TriStar 500 CS-TMP (msn 1248) DUS (Arnd Wolf). Image: 922232. 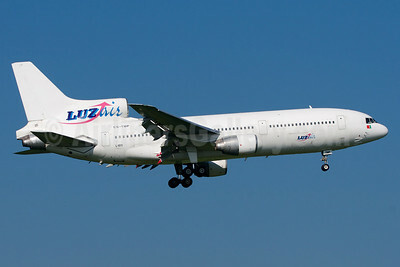 LuzAir Transportes Aereos Lockheed L-1011-385-3 TriStar 500 CS-TMP (msn 1248) LGW (Keith Burton). Image: 900994.